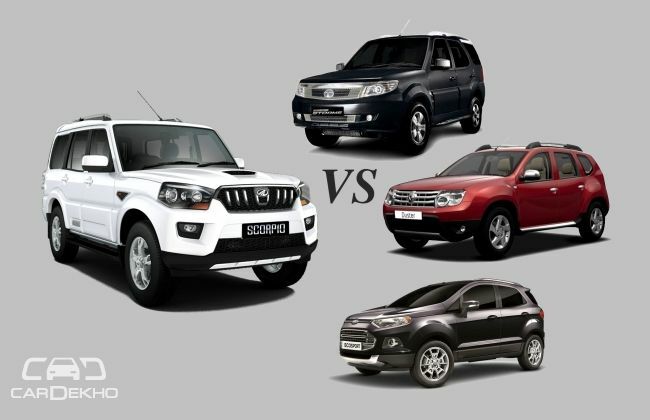 Mahindra Scorpio is the car that put Mahindra on top of the table with respect to sales and popularity. The first complete SUV from the company, Scorpio, was launched in 2002 and went on to become a runaway hit. The Scorpio, since then, has spanned several versions like the pick-up, Micro hybrid, automatic gearbox and more. And now, with the new generation Scorpio, Mahindra is looking to take the legacy forward. 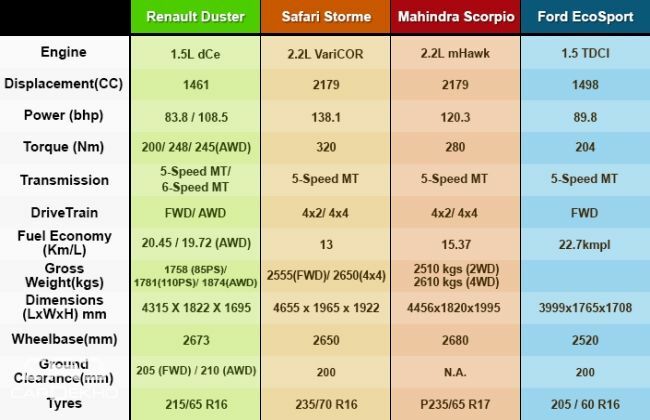 We have a look at how strong is the competition for the new Scorpio? Though Tata Safari was launched much before the Scorpio, it didn’t enjoy as much a success as the latter. With the Safari Storme, Tata wanted to change that but still wasn’t able to do so. Both the Safari and Safari Storme are powered by the same 2.2-litre diesel engine, the difference being the Storme getting a variable turbine technology. The engine, mated to a 5-speed manual transmission, produces a maximum power of 137 hp at 4000 rpm and a peak torque of 320 Nm at 1700-2700 rpm. Tata Safari has great road presence and owners of the car swear by it. The latest SUV sensation, Ford EcoSport, though not a full size SUV, does pose serious competition to the Scorpio. 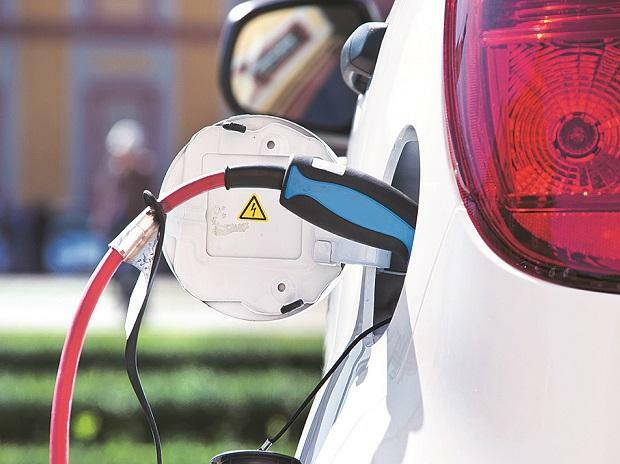 The EcoSport is available in three engine options - a 1.5-litre petrol, 1.5-litre diesel and the much talked about 1.0-litre EcoBoost petrol engine. While the 5-speed manual transmission is available for all the engine variants, the 1.5-litre petrol engine also gets an automatic transmission option. With attractive style, features and pricing, Ford EcoSport is overbooked and that says a lot. Most of us can argue that this is a compact car and cannot be termed as a real SUV, other automotive brands aren’t arguing but working on a similar product each of their own. Renault’s first hit product, the Duster gave the brand a chance to survive with other products failing to make any ripples. Renault Duster is available in two engine options - one petrol and two versions of diesel engine. The petrol Duster gets a 1.6-litre engine with 103 hp maximum output at 5850 rpm and 145 Nm of maximum torque at 3750 rpm. The diesel Duster gets the same 1.5-litre diesel engine in two versions, one with 84 hp and 200 Nm of torque and another with 109 hp and 248 Nm of torque. While a 5-speed manual transmission is standard for the petrol and the 84 hp diesel variants, the 109 hp diesel version gets a 6-speed manual gearbox. The Duster AWD (All Wheel Drive), which was launched recently, also adds advantage to the already capable SUV.